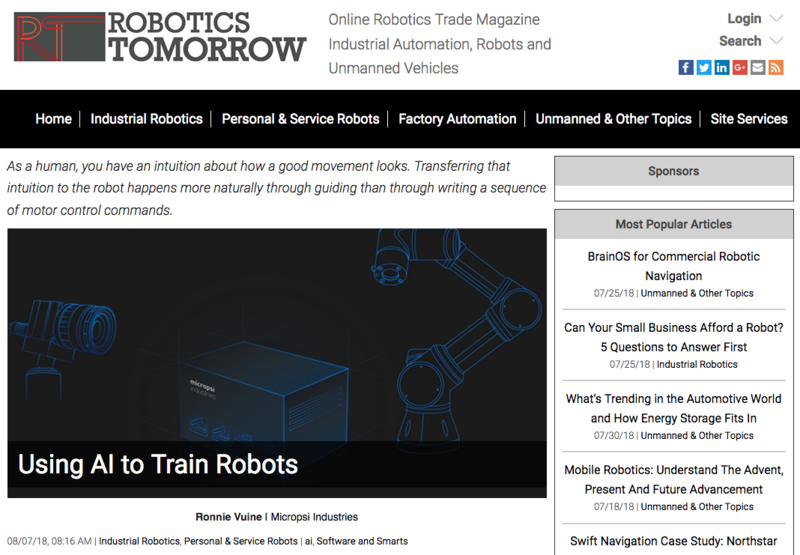 WIRED looks into Reinforcement Learning for industrial robots and notices our work. 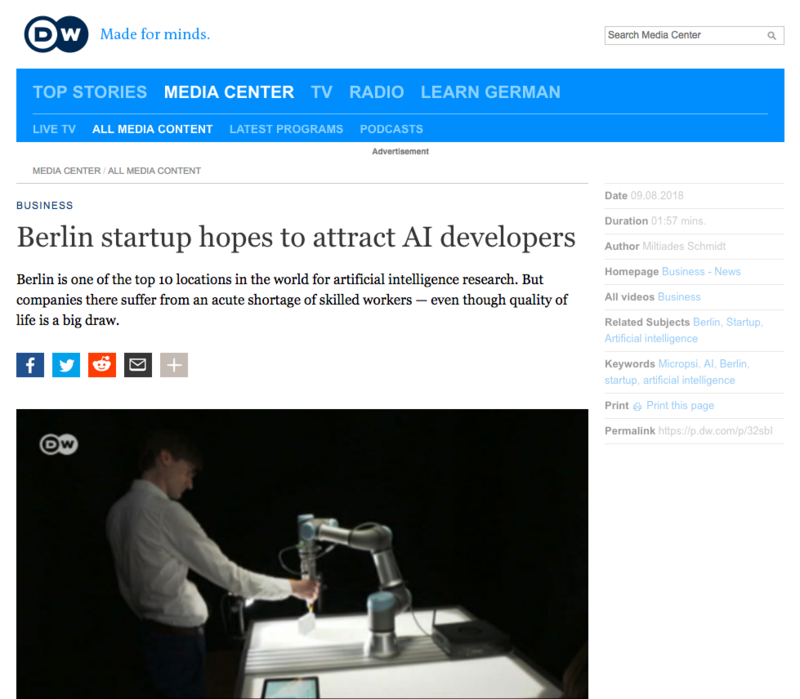 German foreign-language news service Deutsche Welle drops by to learn about the difficulty finding talented AI research engineers. Ronnie and Raph comment on using headhunters and being hunted by them. 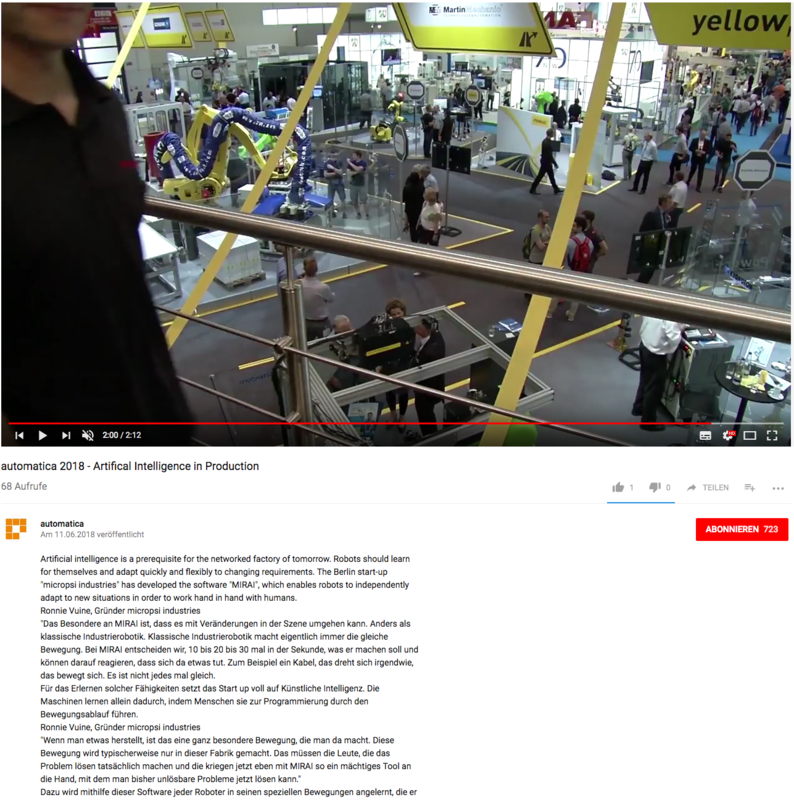 In preparation for automatica 2018, the leading exhibition for smart automation and robotics that starts on June 19th in Munich, automatica's media service paid us a visit in our Berlin HQ. 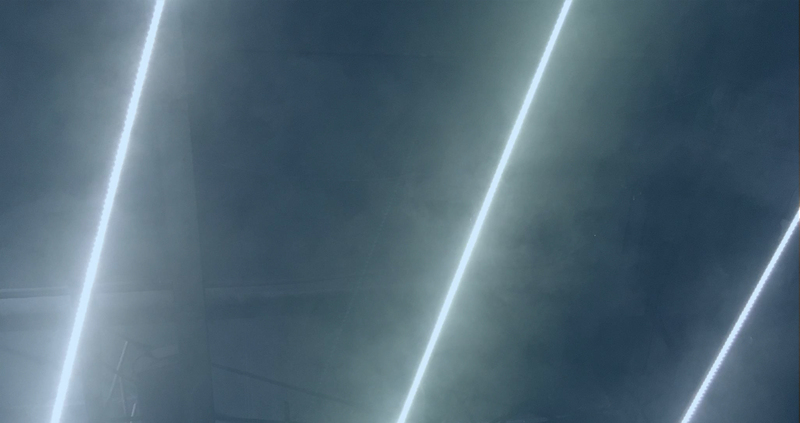 Their feature gives us a chance to explain what MIRAI is and how we're using AI. We won't have a booth yet at this year's fair, but several team members will be in Munich - let us know if you want to meet! 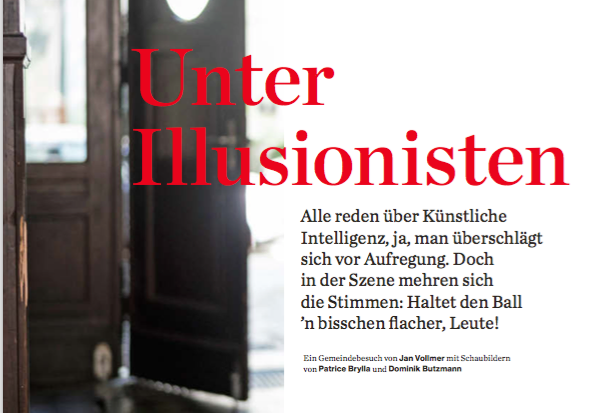 German business monthly Bilanz is mildly annoyed with exaggerated AI promises and talk of the singularity. Ronnie gives his perspective on why the AI risk people might have a point and why AI can be good business, regardless of public perceptions of AI 'winters' and 'summers'. 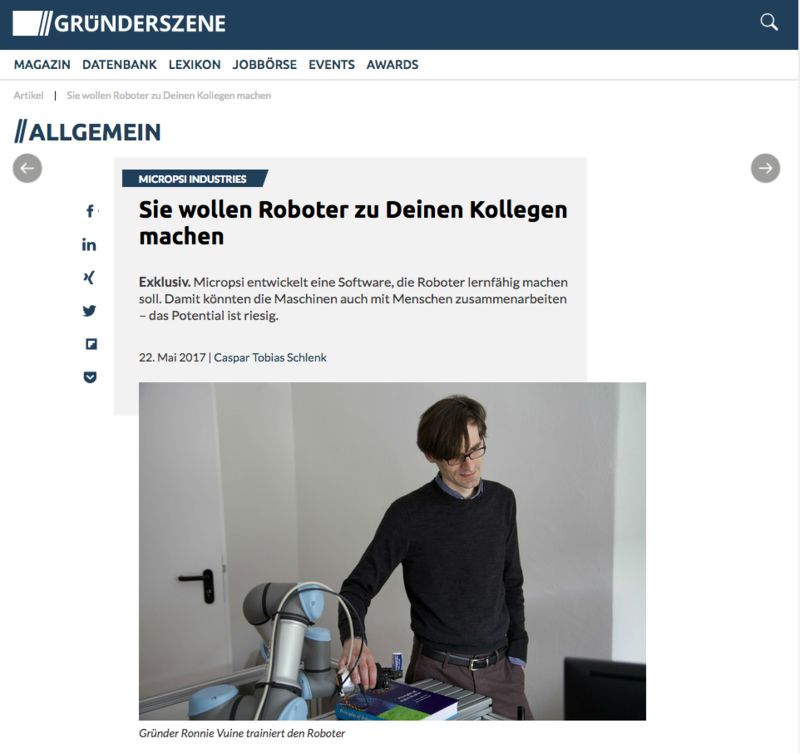 German startup publication Gründerszene reports on the seed financing round closed in May 2017, on collaborative robotics, and on micropsi industries' emerging product. WIRED, in early 2017, is interested in the state of Reinforcement Learning and its applicability to various problems. Famously, RL had just been used in solving GO, and there had been experiments with RL and robotics at Google. In the WIRED interview, micropsi industries' Ronnie Vuine is as excited about reinforcement learning as anybody, but does mention the problems with RL in robotics. 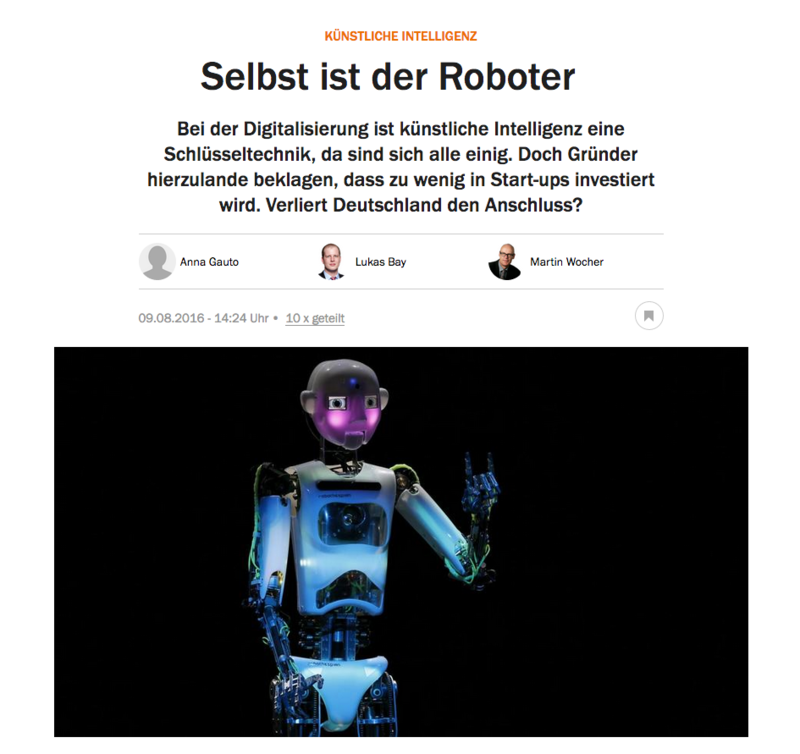 Leading German business daily Handelsblatt, in the summer of 2016, is wondering whether the German economy is about to miss another big technology trend: Artificial Intelligence. Their reporter came to the office and saw some early versions of the micropsi industries Behavior Development Kit.